Painter and graphic artist Herman Fechenbach was born in Württemberg, Germany. He fought and was severely wounded in the First World War. He studied in Stuttgart, Munich and Florence then travelled widely before settling in Stuttgart in 1924–5 where his work was influenced by Die Neue Sachlichkeit. He produced a number of wood engravings on Old Testament subjects (c.1930). He was forbidden to exhibit by the Nazis in 1933 and fled to Palestine in 1938. He arrived in Britain in 1939, where he worked as painter and wood engraver to raise funds to help his remaining family escape from Germany. He was interned on Hutchinson, Isle of Man, with Schwitters, Uhlman, Weissenborn, and art historian Klaus Hinrichsen (1940–41) and went on hunger strike in protest, then produced a series of linocuts entitled My Impressions as Refugee. He later published a book of wood engravings Genesis: the First Book of Moses in 1969. 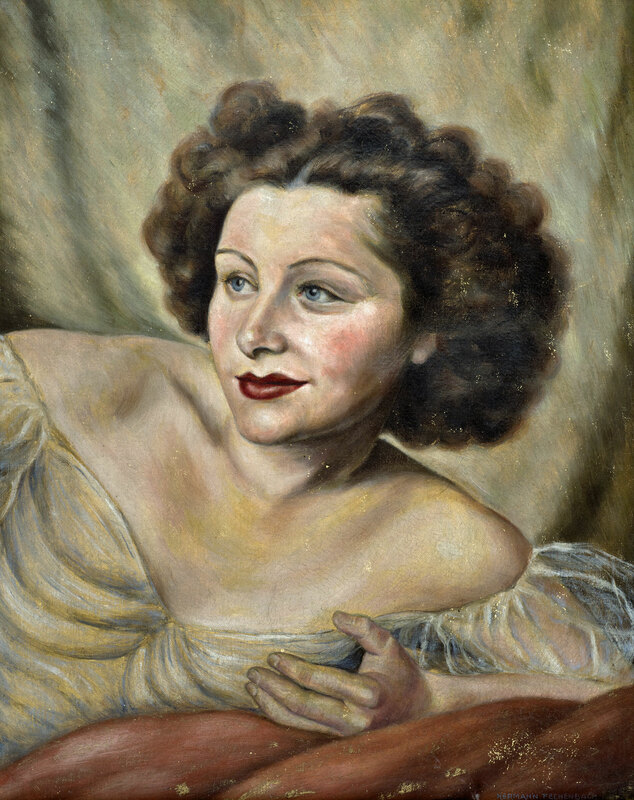 He exhibited in Oxford (1942), Ben Uri (1945, 1947) and at Blond Fine Art, London (1985). His work was included in Kunst im Exil in Großbrittanien 1933–45 (Berlin, Oberhausen, Vienna, London, 1986).